I don’t recall exactly when I saw this film originally. I suspect I was quite young, though, since me and my brother and sister would always get comedy and family films from Blockbusters. I’ve seen the ending of this a couple of times when it’ been shown on television, though. I definitely feel that Jim Carrey is a good actor in comedy. Although I’ve seen him a couple of times in more serious roles, he’s certainly recognisable in the comedy roles he plays. Ace Ventura was a film that made me smile from the start. 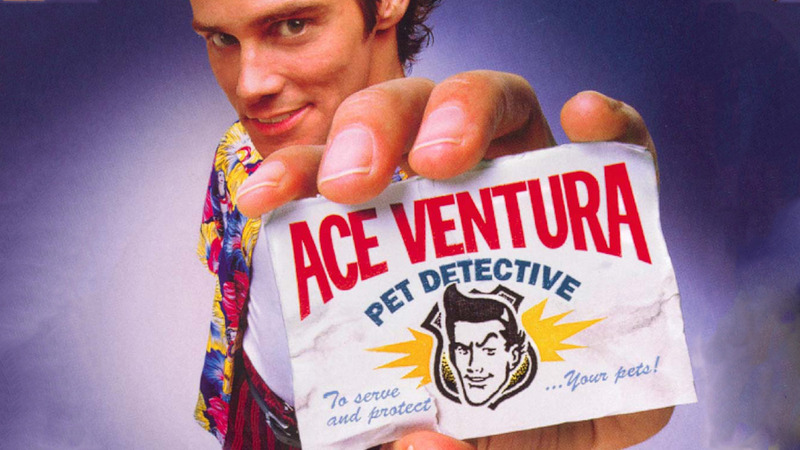 I didn’t need to think too deeply about this movie… and I think I always liked Ace Ventura because he was a pet detective; and I’ve always liked animals. Plus, despite the character’s humorous actions, I felt he came across as a good detective who was more observant than he originally came across as. Plus, his interactions with the rest of the police, while crude at times, were still quite amusing. I recognised a couple of other actors in this movie, particularly Courtney Cox. I enjoyed seeing her interactions with Ace and how she got on with his antics. There was a nice variety of animals in this movie and although it was quite an old one, I felt it was well-made with some really good comedic moments. Many of those came more from the actions of the characters, rather than the more ‘crude’ humour. I did really enjoy watching this movie and I found myself laughing out loud more than a few times. Despite this film being mostly a comedy, I felt there were some good scenes of action, too – and the ending in particular kept me watching, even though I knew how it was going to end. There is at least one other film in this franchise and I do hope to rewatch that (and any others) at some point in the future. If you like comedy that doesn’t take itself too seriously, I would suggest this film as being one to watch.